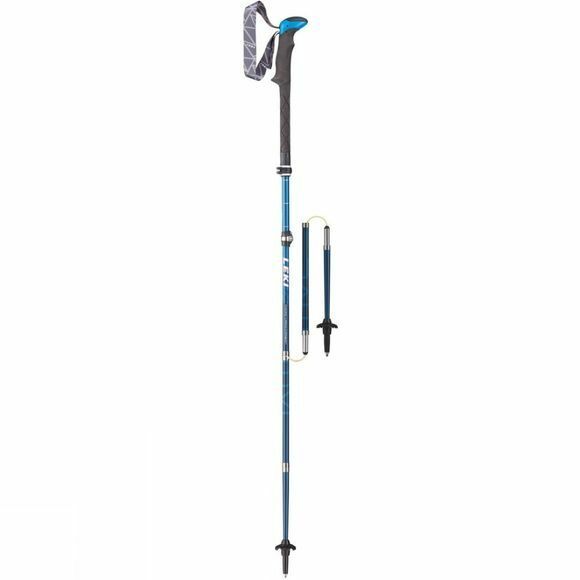 The Leki Micro Vario Carbon Trekking Poles (Pair) are great for multiple uses, especially for trekking, but also for approach, trail running and travelling. They are made with carbon to ensure they are lightweight, with high flexibility and good swing action. The Aergon Thermo Mid Grip provides a large support area on top with an integrated safety strap. It is made with a very lightweight absorbent foam mixture which is sweat reducing and thermally insulating as well as being able to absorb vibrations and give you the perfect grip. The poles are foldable by a push button release mechanism for fast and simple assembly and collapse. The minimum pack size is 38cm making them perfect to fit inside a suitcase for traveling. They also have a speedlock adjustment which allows you to adjust them to the perfect size between 110 and 130cm as required.